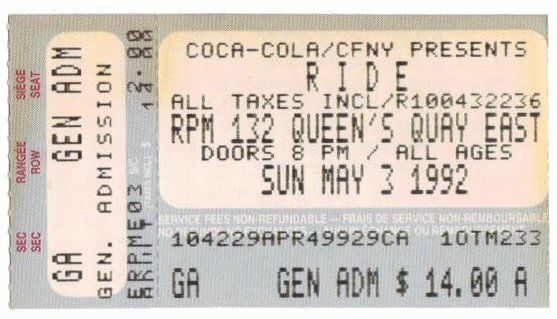 This was one of my fav shows of all-time, imagine Ride and Slowdive at the height of their greatness, playing a show in a club in front of 500 mad Torontonians. It was sheer brilliance. The vibe and the sound was amazing.